Oklahoma is a state located in the South Central region of the United States of America. Oklahoma is the 20th most extensive and the 28th most populous of the 50 United States. Capital and largest city is Oklahoma City. A major producer of natural gas, oil, and agriculture, Oklahoma relies on an economic base of aviation, energy, telecommunications, and biotechnology. It has one of the fastest growing economies in the nation, ranking among the top states in per capita income growth and gross domestic product growth. Names of Oklahoma requires corporations must be distinguishable from any existing entity as well as trade name, fictitious name and reserved name. Company Express will research your company name to make sure it meets Oklahoma’s standards. Required documents: Certificate of Incorporation filed with the Secretary of State. Turnaround time: About 15-25 business days. 2-3 business days expedited filings are also available for an additional fee. 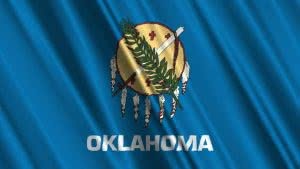 Follow-up filings: Oklahoma requires corporations file a Business Registration Form with the Oklahoma Tax Commission within 60 days from the date of incorporation. Time to file: Oklahoma requires corporations to file Annual Franchise Tax Return with the State Tax Commission by July 1. The tax is calculated based on the capital used, invested or employed in Oklahoma. Names of Oklahoma Limited Liability Companies to must be distinguishable form the names of any existing entity, trade name or fictitious name. Company Express will research your company name to make sure it meets Oklahoma’s standards. Turnaround time: About 15-25 business days. 2-3 days expedited filings are available for an additional fee. LLC’s principal office may be located outside of Oklahoma, but local registered agent is required. Time to file: Oklahoma requires LLCs to file an annual certificate, which is due on the anniversary date of the LLC’s incorporation. The filing fee is $25. Signatures: Only a manager or member may sign annual certificates. Emailed or faxed signatures are accepted.